Want to try it out or pay as you go? Would you love to sing for your baby? Then Corinna’s pregnancy group singing course might be just right for you. 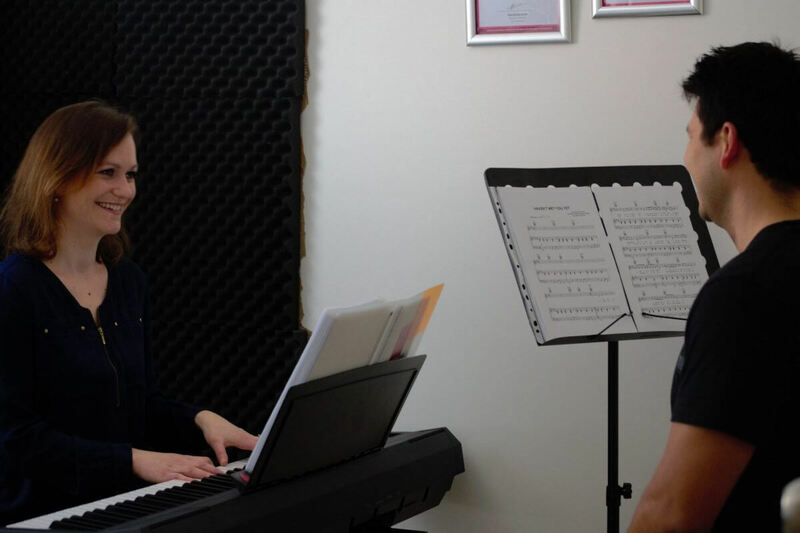 Corinna’s teaching is based around the principle that everyone has a beautiful voice. If you are ready to discover the beauty of your own voice and learn how to operate it safely please get in touch! 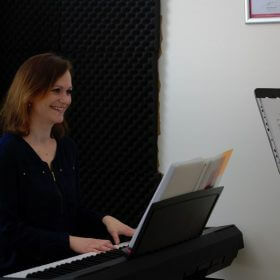 Corinna is a passionate, professional and committed contemporary singer and vocal coach. With over 15 years of experience as singer and performer herself, she is enthusiastic to share some of the finest vocal techniques with you. 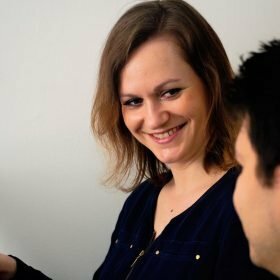 Corinna holds the Estill Figure Proficiency (EFP), has successfully completed level 1 and 2 of the Estill Voice Training and holds a Certificate III in Music Industry Performance (Voice). She is also a member of the Australian Voice Association. All her teaching is based on the latest vocal research. 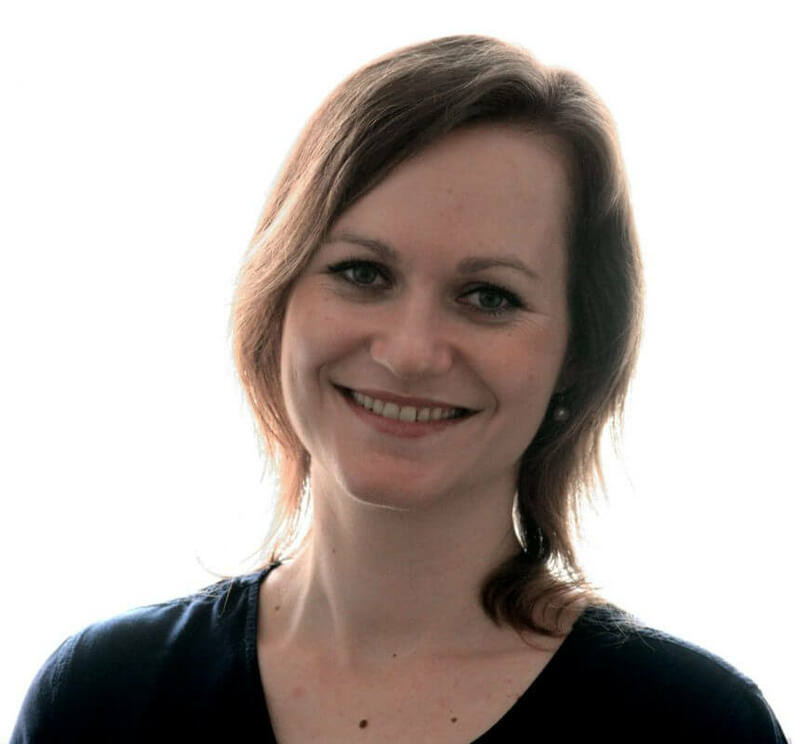 Corinna ensures her knowledge is up to date by participating in continuing professional training and development. Corinna is committed to vocal health because as a singer you only have one instrument that needs to be looked after well. 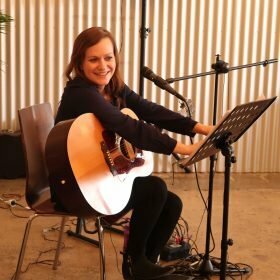 Lessons are held at her home studio in Glenelg (just of Jetty Road) which can be conveniently reached by public transport or car. I was honestly super nervous about singing in front of anyone, so taking lessons was a big step for me. But right from the start Corinna was so warm and open with no expectations. She helped me feel comfortable with her straight away and as a total beginner she was super patient and kept bringing new activities she tailored specifically to my voice and ability. She is such a skilled and knowledgeable teacher. The best part is, after only a couple of months I can now sing scales and pick up new songs quite fast – which seemed impossible before this! Our eleven year old really looks forward to her weekly singing lessons with Corinna. She is learning about her voice and how to use it safely and effectively; she loves being able to choose the songs she wants to learn. Lessons are relaxed and friendly, enhanced by Corinna’s enthusiasm and warm personality. Corinna is a wonderful singing teacher. She is patient, friendly and makes you feel very comfortable working with her. She offers great feedback while still being positive and encouraging. She is also flexible and makes sure she caters her lessons towards your specific goals. She is happy to work on something for a long time or move on to other things when it suits you.